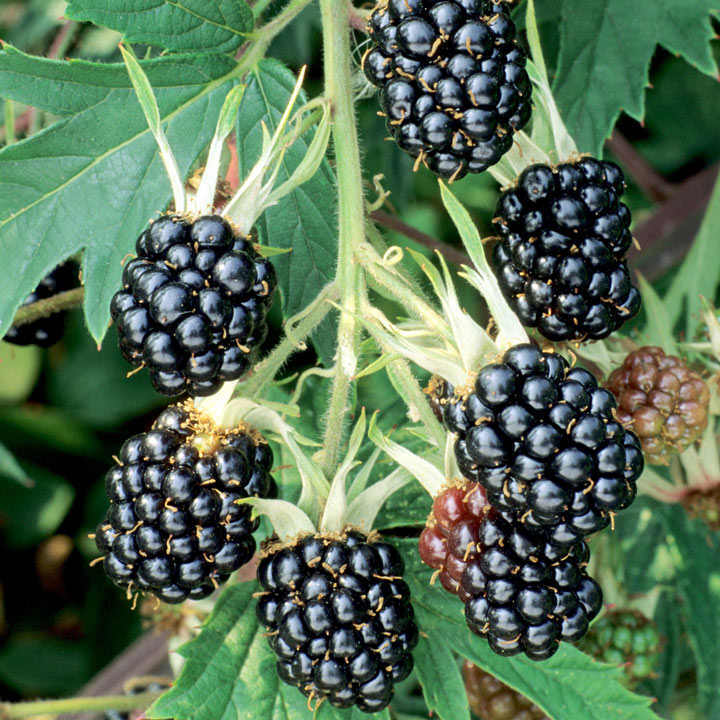 “A beautiful variety of blackberry which has no sharp thorns, so it won’t snag your skin as you harvest the lush, wild blackberry size fruit. 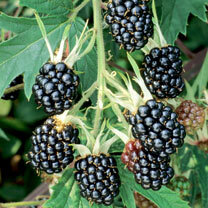 Very ornamental and can be trained up wires or the side of a shed.” Harvest June & late August-September. Height 3m+. Supplied in a 2 litre pot.